Russell Lahodny joined the California Chamber of Commerce as vice president of local chamber relations in October 2014. 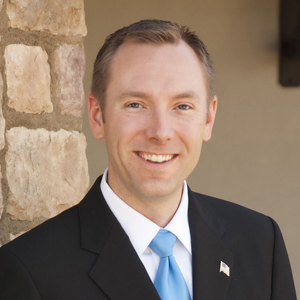 He serves as an information resource for and CalChamber liaison with local chambers of commerce. From 2010 until joining the CalChamber staff, Lahodny was senior vice president, communications for the Anaheim Chamber of Commerce. His role was to maintain the quality and consistency of the chamber’s messaging to its members and the business community. He created and oversaw all Anaheim Chamber communication tools, including a member newspaper, weekly e-newsletters, press releases, marketing materials, and website design. He also oversaw the Anaheim Chamber’s legislative actions and coordinated monthly meetings featuring local elected officials. Before relocating to Anaheim, Lahodny was vice president of communications at the Irvine Chamber of Commerce. During his seven years in Irvine, he helped the chamber earn 15 communications awards from the Western Association of Chamber Executives. In his CalChamber position, Lahodny also will serve as vice president of the association. The Local Chamber Relations Department is responsible for local chamber relations and staffs the Western Association of Chamber Executives and Southern California Association of Chamber of Commerce Executives programs.